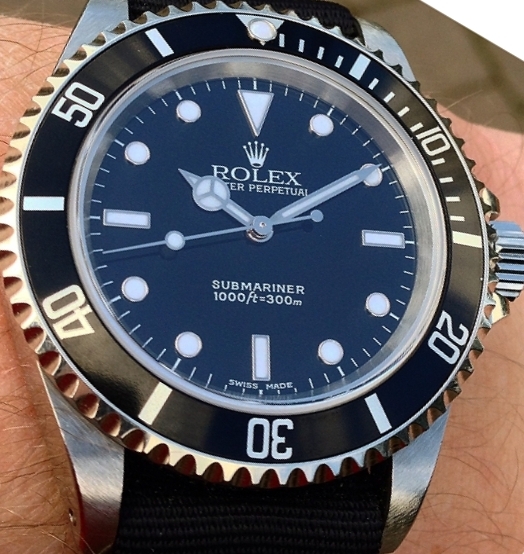 Here we have a really lovely Rolex Submariner 14060M for sale from 2002. 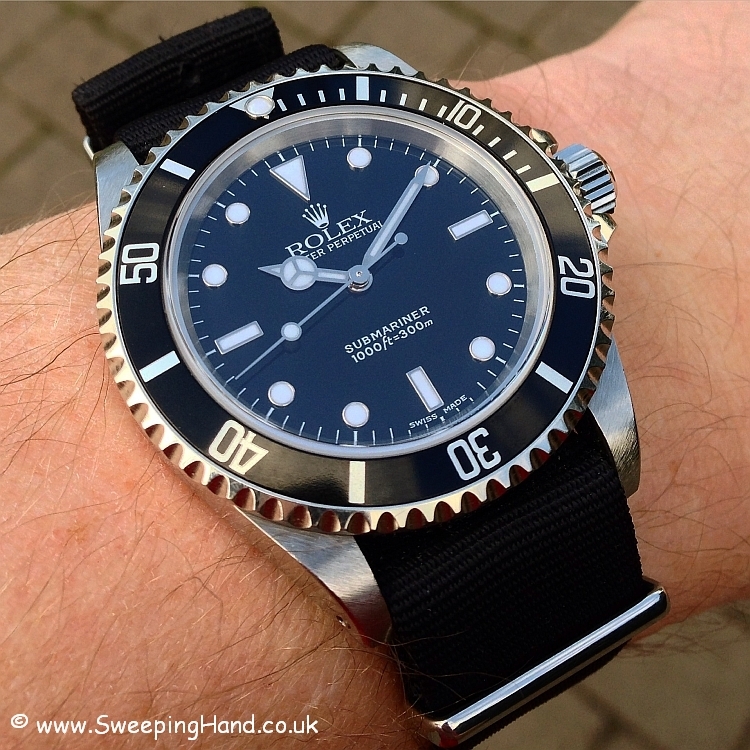 The Rolex Submariner is an iconic watch. Not only for its achievements in design features and construction but also for its simplicity of look and that instant recognition around the world. This watch in my opinion is the last of the ‘classics’. The last Rolex Submariner to have that pure dial design, not overcrowded and busy. 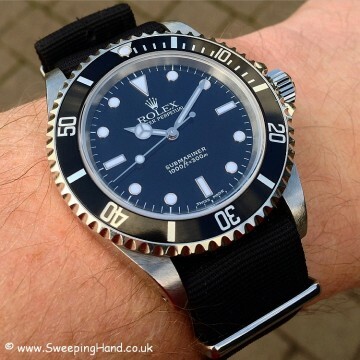 In addition it has those famous lug holes that allow you to switch easily from bracelet to a Nato strap, to a leather strap or whatever you please! 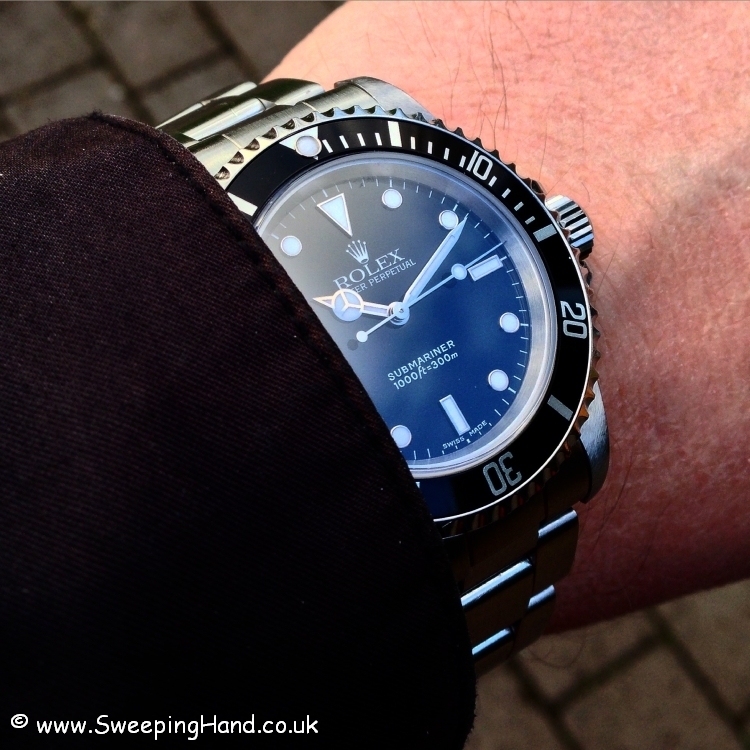 The classic Rolex no-date Submariner has no cyclops, that often is such a marmite feature with the date watches. 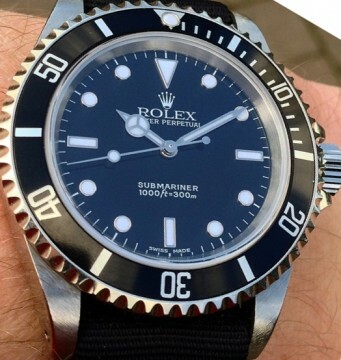 But it does have a saphire crystal, is waterproof to 300m and powered by the Rolex 3130 modified movement producing 28,800 vibrations per hour meaning this is certainly a watch for every occasion. This particular watch is a K serial 2002 Rolex in excellent unpolished condition with mint dial, hands, bezel and case and on a lovely lightly refurbished original fliplock bracelet that is like new. 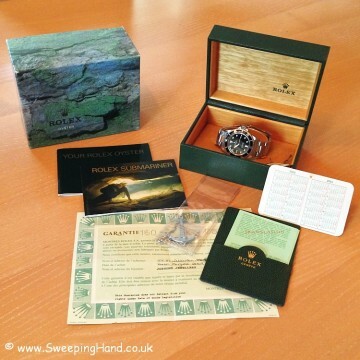 Most importantly though it is a proper collector set and comes with original outer and inner boxes, original punched Guarantee Certificate and wallet, original Your Rolex Oyster booklet and Submariner booklet, original serial numbered hang tag, original calendar card and anchor! More pictures available shortly but contact me to discuss, this set will be available at a VERY competitive price! Dial & Hands: Perfect gloss dial with luminova hour plots and matching hands. Classic 2 lines of text. Case & Caseback: Fat clean Rolex case with no noticeable marks at all, rotating bezel with mark free insert and Rolex caseback correctly stamped. Bracelet: Nice secure nice condition Rolex 93150 oyster bracelet with fliplock. Movement: Original hacking 3130 movement keeping good time. 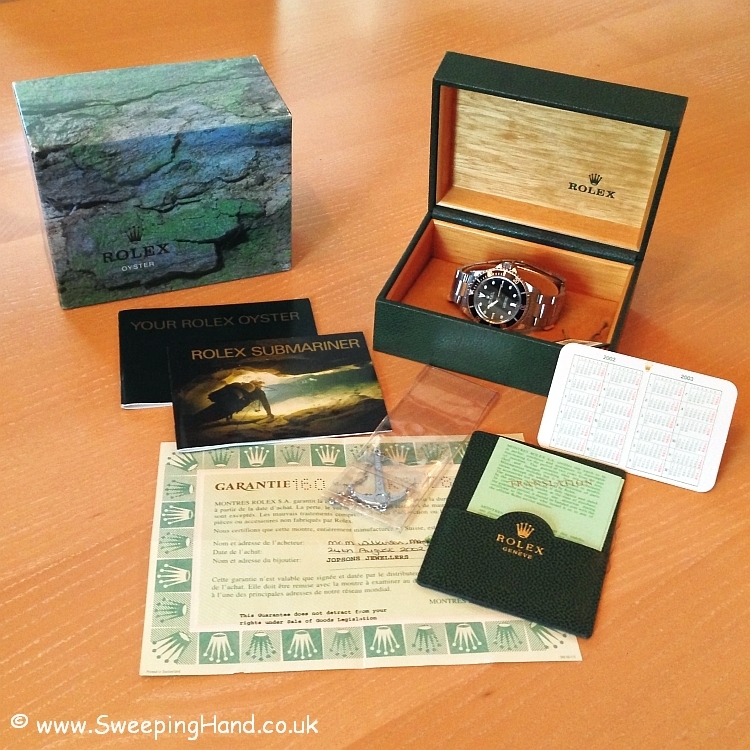 Box & Papers: Comes with original punched Guarantee Certificate and wallet, original Your Rolex Oyster booklet and Submariner booklet, original serial numbered hang tag, original calendar card and anchor.